Peace talks between Yemen's Saudi-backed government and Houthi backed rebels in Sweden this week offer a critical opportunity to end civilian deaths, aid groups have said. Nearly four years of civil war have spawned the world's worst humanitarian crisis, killed tens of thousands of people and left more than eight million facing famine. - The war has killed about 57,000 Yemenis, including more than 2,500 children. - Half of Yemen's population, an estimated 14 million people, are on the brink of famine. - Three-quarters of Yemenis, about 22 million people, are in need of emergency aid, including eight out of 10 children. - 1.8 million children are severely short of food and 400,000 are suffering from life-threatening malnutrition. - One Yemeni child dies every 10 minutes due to malnutrition and vaccine-preventable diseases. 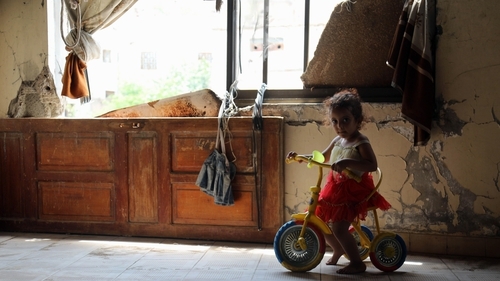 - An estimated 2.3 million people, including one million children, are internally displaced in Yemen. - Yemen needs billions of dollars to finance its 2019 budget and prevent a currency collapse, in addition to $4 billion (€3.5bn) in aid, according to UN humanitarian chief Mark Lowcock.